Here is a 16″x20″ iconic photograph, voted 4th greatest goal by Arsenal FC. The item was personally signed by Dennis in London, 21st February 2014 in London. 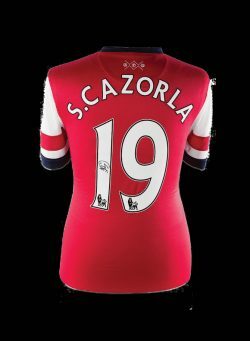 He joined Arsenal in 1995, helping the club to win three Premier League titles, four FA Cup trophies and reach the 2006 UEFA Champions League Final, which marked his last appearance as a player. The vision, the creativity he brought with him onto Highbury’s hallowed pitch has been sorely missed. He is by far, one of the greatest EVER players to play for Arsenal, and one of the greatest EVER to play our beautiful game. 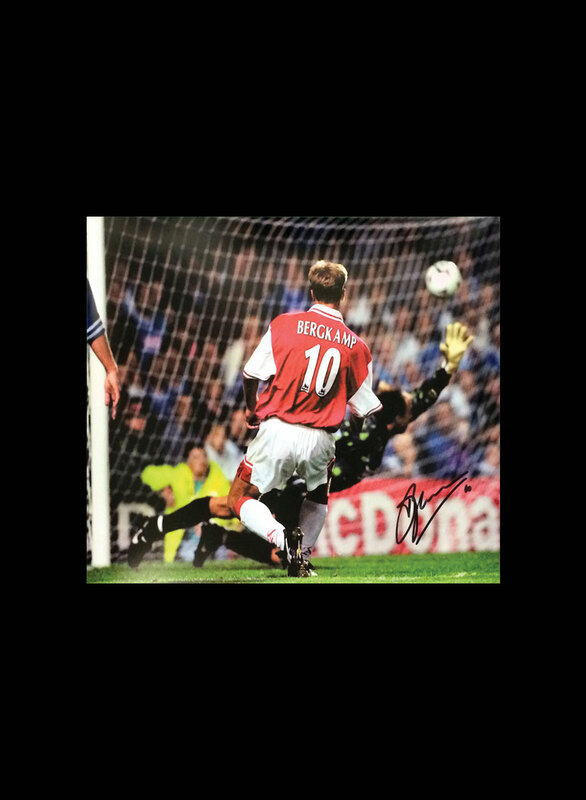 Here is a 16″x20″ iconic photograph, voted 4th greatest goal by Arsenal FC. Bergkamp killed the ball in an instant with a feather-like first touch and then flicked it back past his marker, Matt Elliott, with his left foot. While the Leicester defender floundered, Bergkamp placed the ball into the top corner past a helpless Kasey Keller. It was a moment of pure genius. The Dutchman still rates that goal as his finest in an Arsenal shirt. The item was personally signed by Dennis in London, 21st February 2014 in an extremely rare private signing session carried out and attended by Allstarsignings. 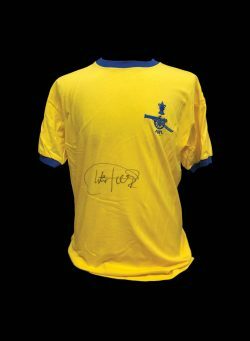 Charlie George signed Arsenal 1971 FA Cup Final shirt. 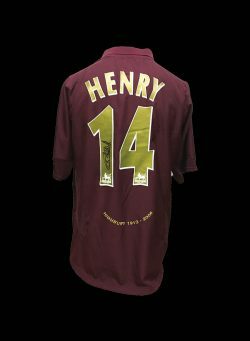 Thierry Henry signed Arsenal 14 Redcurrant shirt. 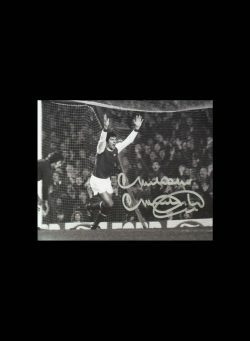 Malcolm Macdonald signed Arsenal 10×8 photo. Frank McLintock signed 1971 FA Cup Final storyboard.